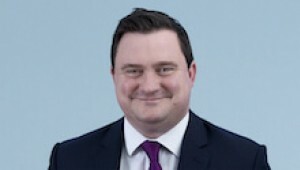 Senior Associate, James Cradick from our Transport & Logistics department comments on the implications of the recent disruptions for the road and rails freight industry, in Kent and France. In particular, James focuses on the impact on owners and developers of logistics buildings. The Dover-Calais crossing has always been of significant strategic importance to the UK economy being the main (shortest) route to continental markets. Modern trade practices have only increased its importance. Most modern supply chains operate on a “just in time” basis which serve to limit inventory in warehouses reducing expensive storage costs. Most businesses will not have sufficient resources to store sufficient stock for use in all emergencies covering all contingencies. Consequently, strikes and industrial action at a port which can cause severe disruption to businesses and the associated supply chain. The implications for individual businesses are obvious. If products are not available on the shelf or delivery cannot take place to customers a company may potentially lose sales, customers and market share against competitors. It is difficult to predict how long industrial disputes might last which is an added complication. It is unlikely that the disruption at Calais will mean more UK companies will want to seek to build up inventories to ensure stock is available which will of itself necessitate increased warehousing and storage space. The costs are too significant. Larger shippers and businesses may well be able to use alternative routes or switch to shipment by air to avoid the problems caused at Calais. Ensuring that there is flexibility in the supply chain is the key to avoiding disruption such as at Dover / Calais. Maintaining a range of warehousing / storage / distribution facilities remains the best way to mitigate against disruption. That may include for instance maintaining a presence around the Heathrow hub or setting up temporary “pop up” or more permanent arrangements at facilities at or near continental airports (“transhipment hubs”) so that goods can be trucked in and then a decision taken as to whether to ship at short notice by air if required. Putting arrangements in place early prior to disruption occurring mitigates costs and will obviate expensive last minute solutions. For France with inland borders with Germany and Belgium the issues at Calais are clearly not as significant as for the UK. The available alternative ports in France (such as Dieppe, Dunkirk or Boulogne) do not have the relevant infrastructure or capacity to be developed and of course freight using the tunnel is obviously limited to Calais. The situation is not going to alter significantly in the near future on the French side. Contingency planning remains a strategic imperative for all those engaged in the industry. Those operators who were able to implement well thought through contingency plans last summer were the ones best able to mitigate losses and avoid expensive emergency last minute fixes. Increased rates across the sector seem inevitable. Increased costs for forwarders and hauliers will ultimately be passed back to business. The margins in the industry are too tight for the industry to simply absorb the costs involved. There is a very significant lack of supply and development of suitable warehouse premises in the UK. Commercial industrial development does not attract the same media attention as building more residential. However, the crisis last summer and strain on the UKs logistics capability has focused media attention on this area. This may provide a platform for increased opportunities for investment and development going forward. Significant disruption which we saw last summer may expedite a move away from larger inland distribution centers to a more port centric approach. DP World’s London Gateway logistics park at London Gateway port is a prime example of that. This can result in lower costs, a shorter supply chain and consequently less risk of disruption. We have fielded a recent enquiry from one warehousing client on break clauses in their lease in order to make such a move. Increasing the capacity, quality and size of warehousing is important to meet modern demand. However, given the development of a streamlined “just in time” supply chain, investment in technology and IT is of critical importance in ensuring efficient management of that capacity. Visibility of inventory and ability to understand what goods are where allow fast decisions to be made. Companies with better information systems are far better equipped to manage and mitigate disruption, such as occurred last summer. In whatever capacity they contract, it is essential that the warehouse operator and staff remain on top of the detail. Visibility of stock held through investment in IT, efficient internal procedures and well trained staff are key to this. We dealt with a number of enquiries from clients providing storage facilities who were receiving urgent requests for storage to avoid the delays at Dover last summer. There were also urgent requests made to several clients to recover goods in storage urgently which were required in place of goods caught up in the disruption. In a number of cases we know of unscheduled deliveries being diverted to our client’s facilities at very short notice. In a fast moving situation warehouse operators need to be aware that they have very clear duties to owners of cargo (who may not be the party who actually delivers or instructs delivery of the goods to the warehouse). This may arise contractually or where third parties are concerned in bailment (a tort). Caution is required in such circumstances as accepting, releasing and storing goods all attract legal duties on warehouse operators which if not met can expose operators to potential claims. If you would like to further discuss any of the information included above, please contact James Cradick.